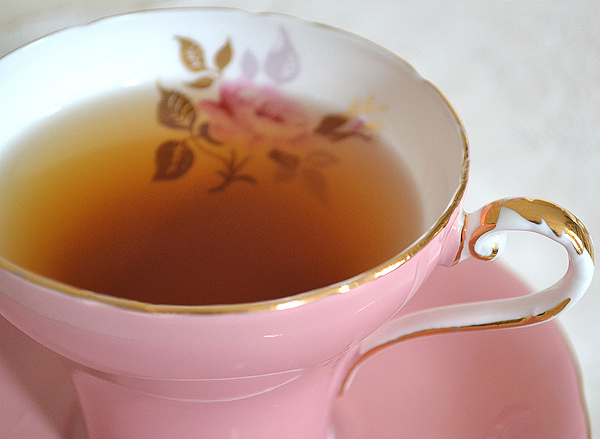 lovely pink teacup tuesday, Terri! seems we're on the same wavelength of Spring! what a gorgeous quilt! and thoughtfulness from Freida ..
Oh what gorgeous teacups Terri and you were so blessed to receive that beautiful little rose quilt. 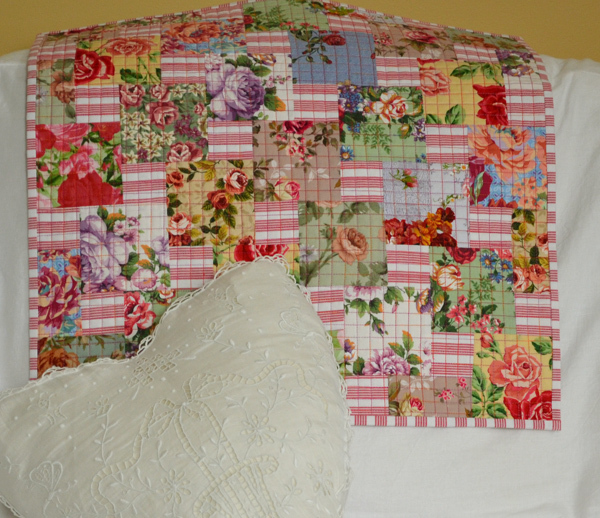 I just love rose quilts and have one in my Etsy right at this moment. Your photography is so soft and pleasing to the eyes - just so serene! Have a lovely week in your studio! What a pretty post! I like the teacups. Especially the pink one. The little quilt is so cute! What a wonderful gift. And, those flower photos...gorgeous! Happy teacup Tuesday. Your Tea Cups are gorgeous Terri. I love Anysley too! That quilt hanging from Frieda - it's so pretty and colorful. Hello Terri! I'm so glad to join your great party again. 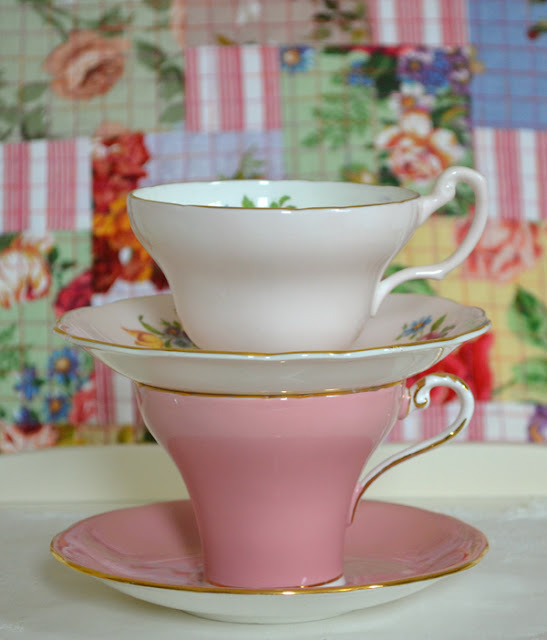 I like your teacups a lot, especially that pink one (and your photos are fantastic!). Good luck with your creations and your lessons, please share of those beauties you are doing with us! Love all your photos, Terri. I should photo & share the pink creamer & sugar set I have of my grandmothers. 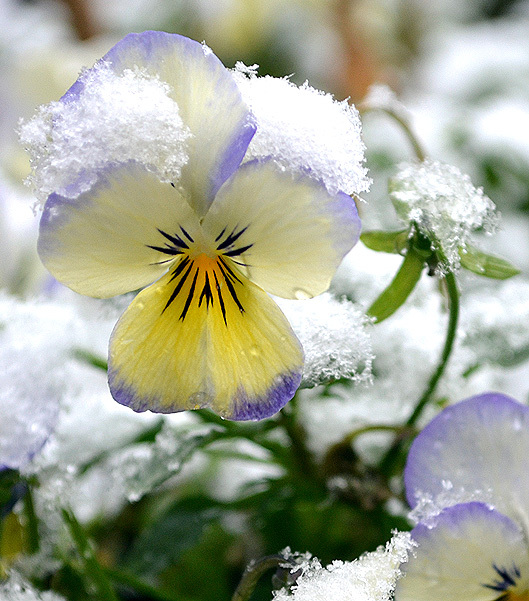 Wow Terri...I don't know what I love more your tea cups or that gorgious snowy flower photo you took. What a stunning post! Your quilt hanging is beautiful, as are your Aynsley and Foley teacups. Winter is alive and well in Michigan too - a big snow storm [7 inches] is coming later today. Good tea drinking weather! Hi Terri...what a wonderful cheery post. The quilt is wonderful! We have had lots of wind, no snow. 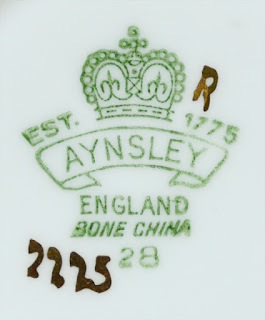 The number on the Aynsley is the shape number by the way....One of my fav Aynsley shapes. I love it! Pink is such a joyful color. Lovely post and thanks so much for hosting! Oh I love your pink teacup! Both are so special and perfect for a winter day! Your new quilt is so pretty and the colors just say spring! What a lovely gift. It's rainy here in Florida today and at home we have tons of snow and lots of snow storms this winter. Thank you for hosting your party and have a wonderful week! Hi Terri! The cups are lovely. My favourite is the darker pink one. I've never seen one like that and I find it so striking even though it's just plain pink. I guess I just love pink! As for the quilt, I enlarged the photo and I looked and I looked and I could not get enough of looking. What a precious gift you have received. What struck me the most are all those beautiful flowers and the beautiful pattern! I'm always telling myself that I am no longer saving favourites because I have so many that I'm feeling overwhelmed by them. But I could not resist putting this lady's blog in my favourites so that I can examine it thoroughly when I have a few minutes. I just wanted to thank you for sharing your tea cups and the beautiful quilt. I love pink. And what a fantastic gift- from your friend-so lovely and looking great on your couch ,like you say, lightening it all up. Here the grass is to see again-which makes me happy-not that there are so many things blossumming as in your garden, but this winter has just been long. I hope your trees and busches and flowers survive the new cold, dear. Love the way you've pictured thise gorgeous teacups against the background of the little rose quilt. They really compliment each other beautifully. Gracias por venir a mi humilde entrada sobre la taza de té, es una honor para mí. Tu taza color rosa es una preciosidad, la otra también. Tienes una colección maravillosa. Yo estaba por comprarme una igual, cuando la vi me acordé. La imagen de la flor con la nieve es sublime. Te felicito. Love the quilt as the background. two shades of pink cups are so nice together. The colours blend in so well. Oh, pretty in pink and just perfect to lift my spirits out of the frigid snow and ice that is now coming down outside! Your cups are amazing, I am learning so much from you about the histories. I am still not an experienced tea drinker yet. Your quilt from Frieda is just gorgeous! I am looking forward to your class too!! You have snow! I was hoping for a wee bit more winter weather because it enables me to justify staying inside and getting my wool crafting done. The weather here is warming up ( unseasonably) and the gardens are beginning to nag me, so I think tea times will be outside sooner than expected. Your art room sounds like an explosion of creativity, and your blog shows it to be so. Thank-you again for hosting Teacup Tuesday. Oh Terri, you have the most beautiful teacups and amazing photography skills! Thank you for hosting, sorry I am a day late, but sometimes that's the best I can do! Hugs! 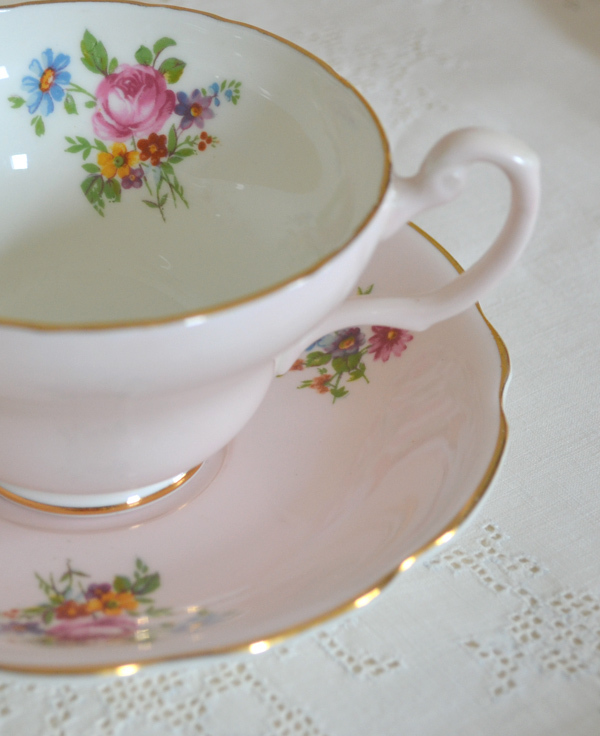 I just adore pink teacups! You can never have enough! Hi Terri! I just love your Anysley cup in that creamy pink color! I was thrilled when I got my first Anysley and have my eye on another one at the tea shop I frequent. The pink rose inside is a lovely touch! I admit to you I am feeling rather green about the art classes you are taking and only wish my week afforded me more time for my crafting arts. As a writer, I spend a lot of time crafting with words - and as a teacher - crafting children's hearts. But, how I love making things with my hands. So thankful for the inspiration your work is in my efforts. Gorgeous quilt!! Your friend is VERY talented! Your pink and flora cups are sweet, too! I am looking so forward to spring flowers popping up, too! It's hard to wait this time of year. Have a wonderful day! Oh Terri, the teacups are lovely...the colors are so appealing. The quilt is to die for. What a thoughtful gift. I think I'm ready for spring. Our weather here in the northwest is just rainy but warm. We need some sunshine. Love all your photos and especially the pink tea cup! 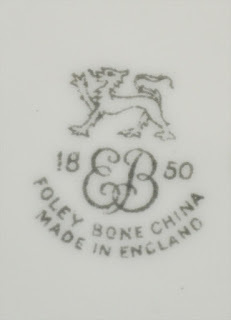 I wanted to thank you for the loveliest comment you left me on my very first Teacup Tuesday post last week. I wish to do more in the future but I am getting ready to fly up north for my Momma's 80th birthday, so when I get back, I hope to try to join up every Tuesday. It's so much fun! Sounds like you had a lovely Anniversary! Oh Terri...every photo on your blog is stunning. I just love visiting with you..and I must say, you put me in the mood for tea. I will go now and make some....and then it's back to my crochet hook and threads!